The End of No. The Beginning of Now. 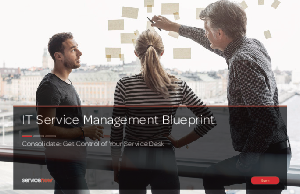 Your IT service desk is swamped from the moment work begins. It’s unclear how to gain control without the right tracking, prioritization and reporting. But with the right guidance, you can improve IT service delivery and demonstrate how IT is performing to support the business.